"A Chevalier of an actor "
Born in a middle class Tamil family, got on to the stage at the age of seven and pursued acting by joining a drama company. Learning acting that came naturally to him he honed his skills in dancing and got trained in Bharatanatyam, Kathak and Manipuri. Having played the lead role in the plays his portrayal of the character of Chhatrapati Shivaji in the stage play 'Shivaji Kanda Hindu Rajyam' earned him the name "Sivaji". This title was conferred on him at a public function presided over by social reformer E. V. Ramasamy. Since then, he was popularly referred by the name of "Sivaji" Ganesan. Though he was a superstar in the Tamil film industry, he was well known for his at most dedication at work as he was always on time to report to the films sets. He had that incredible talent to grasp the intensity of every scene and the dialogues instantly and these traits have become the basic learnings for many actors who came after him. And he had complete involvement in his work and the ability to observe the co actors always. "In a single moment, an actor can overtake your performance. So, always observe what they are doing." As in his own words of advice to his son when he entered the film industry. He loved horses and he was always was a big sports fan, a member of the TNCA he loved cricket. As an iconic actor in Tamil cinema, he was referred to as "The Marlon Brando of Indian Cinema". Received the President's Award for Best Tamil Actor on numerous occasions, four Filmfare Awards South and a National Film Award (Special Jury). 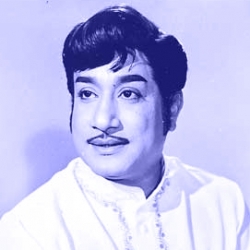 Sivaji Ganesan was honored with civilian awards such as Padma Shri, Padma Bhushan and Dada Saheb Palke Award, the highest award in India for people involved in film industry. He was the first Indian film actor to win a "Best Actor" award in an International film festival, the Afro-Asian Film Festival held in Cairo, Egypt in 1960. And also the first Indian actor to be made a Chevalier of the Ordre des Arts et des Lettres by the French. His iconic role in Veerapandiya Kattabomman will always be one his all-time best performances and it even won him best actor award from a foreign film festival 1960 - Best Actor in Asia - Africa Continent Award at the Afro-Asian Film Festival. He still inspires many actors and has this undeniable influence on many actors especially originating from South India. As an epitome of acting skills, Sivaji Ganesan will always remain as a legendary artist to have lived his life out on the silver screens donning those incredibly iconic roles that will forever be a part of every cinema goer's life.  This is a SoulPrints tribute to Chevalier Sivaji Ganesan.